Rajinikanth, apparently, felt that Taramani was a pretty bold film. .
Rajinikanth, who is the undisputed ‘Thalaivaa’ of Tamil cinema, recently watched Andrea Jeremiah’s ‘Taramani’ and liked it a lot. Thereafter, he apparently called up producer JSK Sathish and praised him for making such a bold film. 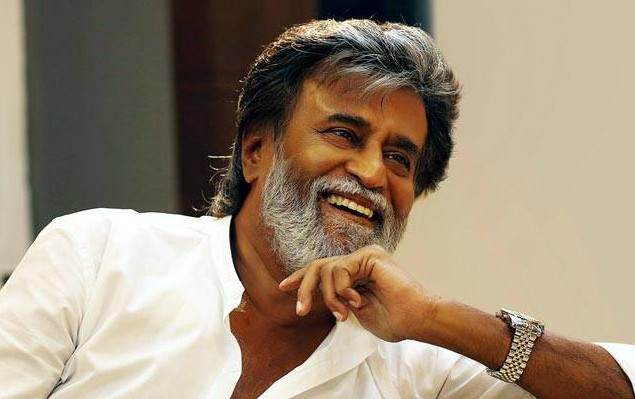 Confirming this, Sathish said that Rajini even enquired about the box office fate of ‘Taramani’. “It was indeed a pleasant surprise to receive a call from the living legend. He said that he would call Taramani as a bold film. His appreciations and praises were in detail. He was curious enough to know the commercial response and expressed his joy when I conveyed that the film is turning out to be a huge box office hit,” he added. The producer, who has also essayed a role in ‘Taramani’, went on to reveal that Rajinikanth praised his performance and stressed that he had essayed his part with effortless ease. “I felt very happy when the Superstar spoke in detail about my role and acting in Taramani which had given me huge accreditation as an actor too. These gestures motivate our unit to a great level and the response to these noble gestures is more films of content in the future,” he added. Well, are happy for Sathish and hope that he continues finding success. In case you were not aware, ‘Taramani is a drama and has been directed by Ram. Besides Andrea, it features Vasanth Ravi and Azhagam Perumal in the lead. The film’s music was composed by none other than Yuvan Shankar Raja under the JSK Audio banner. So, have you seen ‘Taramani’ yet? If yes then please let us know whether you liked it.